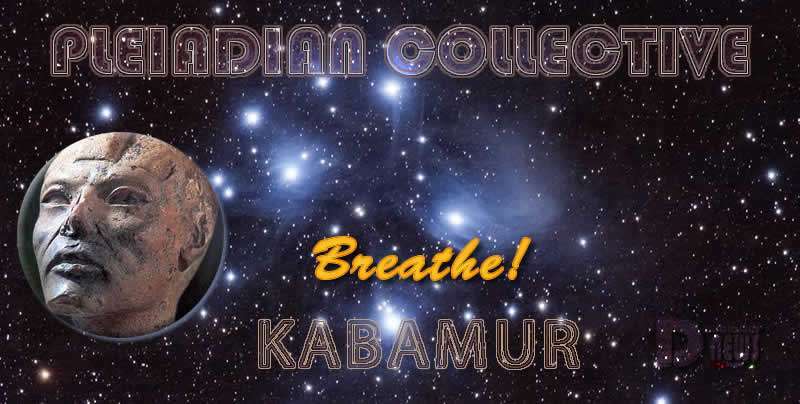 Breathe – Pleiadian Collective. By Kabamur Taygeta. We Address In The Love Of Humanity! For In These Moments Of Perceived Chaos, We View Only Peace! This Is The Hope For All Life! This Is The Truth Beyond What Many Are Able To Believe. For Those Of Your Planet Have Been Lied To For Millions Of Years, How Can We Expect More Of You When We Understand You And Have Lived As You! Listen To Those Who You Know Have Awakened To Truth! It Is As If You Must Ignore All Of The Poison To Find The Nourishment! Beloved Ones, All You Need Is There Before You! There Is No Need To Solve Anything. There Is No Deed That You Must Worry About! Even Concerning The Darkest Moments Of Each Government On The Planet, It Is Full Of Beings Of Light, Seen And Unseen! This Should Be Your Focus For In Truth All Is Well. Allow The Story To Play Out Knowing That Before Entering The Role, All Players Knew And Agreed To The Higher Points Of Being In The Dream! We Remind You That This Is Not What Any Would Choose Once Here. But There Is A Higher Purpose And Sacred Choice To Explore And Learn, To Play And Replay The Roles To Perfection. You Experience Nothing New! You Wear A Different Body Form And Use A New Name! We Speak To Those Who Long To Know True Identity, Awaken And Join The Collective! We Will Be Ever Expanding And Exploring The Galaxies To Infinity! In These Moments Of Puppets And Clones, Lies And Laws Broken, The Choice Can Be To Awaken You! For Some It Will Call For Greater And More Personal Battles To Transcend The Story. We Remind You That Peace Within Is Possible Now. There Is Nothing You Must Achieve Or Become To Know You Are Whole Now! We Have Many Pleiadian Incarnates Now As Well As Those Who Come And Go! We Are Stationed In Crafts In Every Part Of Your World. You Need Assistance And Guidance But We Never Take Over And Rule You! We Know Your Perceived Plight! You Believe There Is An Answer For You Some Other Place! For Now We Cover You With Light And Give Wisdom Through Many! There Will Be A Moment In This Reality When We Join With You Permanently. In Another Reality This Is Being Realized. You Are Left Out Of Nothing! The Party Will Restart For You! There Is No Time! There Is Consciousness, Belief And Perception! We Come From The Highest Densities And Can Perform At Such A Rate That Your Mind Can’t Comprehend In This Reality! But You Will Remember All. And Finally Understand It Was Only A Dream And So Worth It! We Grow And Expand With Experience! From Our Creation We Moved And Explored. Then We Made An Exit To Another! You Are Always Part Of The Collective! We Embrace You In Love Even When You Do Not Remember! Breathe Deeply And Encourage One Another!